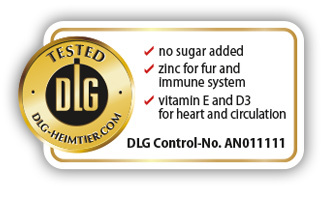 In order to achieve the award ”DLG-Certified“ the products must pass extensive laboratory tests and declaration controls. 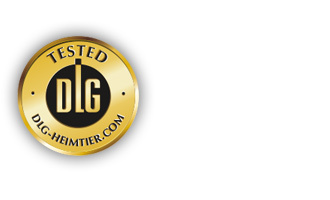 The award ”DLG-Claim – Checked by experts“ amends the test criteria of the award ”DLG-tested“ by particular product attributes, which were scientifically confirmed by experts. 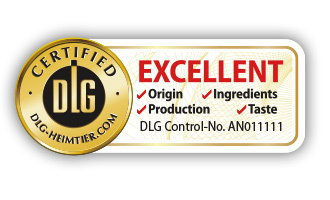 The DLG Product Certificate “VERY GOOD“ guarantees the controlled production, the analytically impeccable quality of the final product and its high sensory (in terms of taste) acceptance. 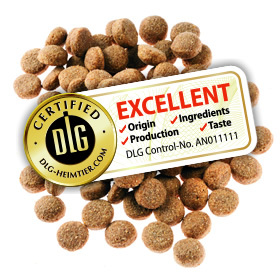 The selection of raw materials and the production process were certified locally on site according to DLG’s own quality standard.